Skookom have been building bespoke homes and commercial fit outs since 1993, with a reputation for creativity and innovation. Award Winning Builder In 2017 Dean and the team at DS Building was awarded the prestigious Master Builder’s Award for the Longview Project. DS Building Pty Ltd has been building, renovating and developing client’s ‘forever’ homes since 2010. Our specialty is architectural homes that our client’s dream of and see themselves in forever! This is why Dean and his handpicked team work tirelessly through every aspect of the project to ensure the highest quality and best possible outcome is achieved. Dean is a true craftsman; his background in boat building has led to a particular eye for detail. Dean’s genuine, honest and hardworking ethic along with his building experience has developed over several decades building homes in Queensland and Tasmania. Dean offers his passion for building, professional advice, project management and experience. He works closely and communicates directly with his clients, contractors and architect or draftsperson to ensure dream homes are built to a standard all involved are proud of and will exceed expectations! 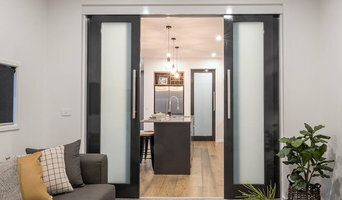 Jak Allie Constructions is multi-award winning building and construction business based in Hobart, Tasmania specialising in new homes, renovations and extensions. Innovative building company, using eco design and material for all facets of building from architectural new homes to renovations. Wilson Homes is one of Tasmania's largest and most trusted home builders. At Wilson Homes we’ll help you build your dream home with a free site inspection of your block of land, no obligation building estimate and a fixed price contract with no hidden charges. Browse our house and land packages, new home designs and discover our display homes in new housing developments across Hobart and Launceston. Our selection centre and in house finance options provide you an end to end service that makes building your new home easy. We build quality, great value new homes right across Tasmania. We're here to help and can’t wait to partner with you in creating a new home that's uniquely yours. 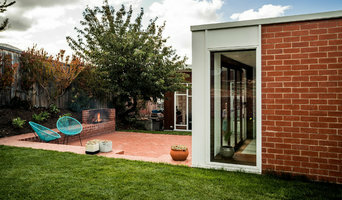 Delpero & Clements Builders was established in Hobart on the 10th February 1990. Since that time we have grown from a 2 man operation to a medium and diverse company with our own joinery workshop. We are now employing 2 directors, 9 full time employees and 1 part time office manager. We work within clients budgets and offer very competitive pricing to achieve clients wishes. We offer a design and construct service as well that enables us to work closley with clients to achieve a construction that meets clients budgets and design requirements. The two directors - Adrian Delpero & Bruce Clements - are fully qualified carpenters and joiners and have worked together on job sites since 1990. We have grown from mainly small domestic construction/alterations and subcontracting, to now custom designing houses, large domestic construction, renovations and small to medium commercial construction work. We have been a member with the Housing Industry Association (HIA) for over 20 years and are proud to have been a finalist in the HIA Awards for the last two years. Along with our employees we also hire a select group of contractors who work with us to maintain an excellent standard of workmanship. In2Construction Services Pty Ltd has a proven track record as one of Tasmania's finest builders of high quality homes and commercial buildings. Innovative building methods and materials, expert craftsmanship, dependable project management and regular communication are focussed on clients' needs. Our clients and architects invest a great deal of emotional energy in their projects. We understand and respect their aspirations and our commitment is to deliver a high level of personal service throughout the life of each project. In2Construction is a long standing member of Master Builders Tasmania and the Housing Industry Association. LHG Homes work with you on a personal level from the very beginning of the planning stage right through to completion and beyond. We understand how confusing it can be to consider building a new home. After 25 years in the building industry we've helped hundreds of Tasmanian families through the building process. LHG Homes are well known builders with a reputation for quality work and personal service. With over a decade of experience, Tom and Cam have worked in all facets of the building industry managing projects ranging from new architecturally designed homes, extensions, renovations and commercial group-up construction. Their extensive skill set, passion for design, honesty, integrity and pride in quality craftsmanship using beautiful, locally sourced materials has earned them a solid reputation within the industry. Make Home Solutions is a Tasmanian owned and operated family business. Our team have been constructing quality homes and modular homes and units in Tasmania since 1999. Our commitment to service will make you feel like part of our family! As HIA (Housing Industry Association) members we have always put quality and service first. We offer a range of standard designs, however our goal is to support and provide for the individual needs of our clients, hence most of our work is custom made. We take care of the council approvals, and when we get the "go ahead", the new homes are constructed within 3 months. We build using a combination of steel and timber frames and the homes are transported on a truck to their destination and installed on mega anchors or concrete piers. Then the plumber and electrician do their part and the home is ready to move in. We will work with you to make a home that suits your life, budget and location, and we will work on the design you bring to us to make your dream come true. Call to make an appointment today and see how affordable our homes are. Just imagine what you can create! With over 27 years experience in both commercial and residential building in both Sydney and Hobart, we offer superior knowledge and skill for your project. You will be dealing closely with the Director of the company from start to finish. We also have a team of exceptional sub trades to work on your project who are fully qualified, incredibly reliable and of the highest quality. We specialise in the ‘non project home’ market. We will work closely with you to help design and build your dream home, whether it be architectural design, passive solar design, something a little different or something completely out of left field. If you are thinking about a house renovation, we also produce top end home renovations, bathroom remodels, kitchen renovations or extensions. You can feel confident that your build complies with the building code as you will be dealing with a fully licensed builder who is also a member of the HIA. Plus you can be assured of a clean and safe job site at all times. We pride ourselves on providing you with a custom built home of the highest quality and will not compromise on finishes and attention to detail. 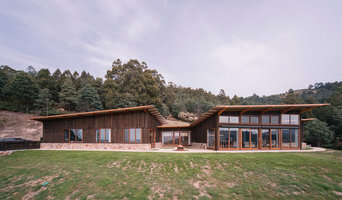 SDC Kit Homes is an Australian-owned business that specialises in quality kit home and shed supply throughout Tasmania from design stage right through to manufacture. If you are looking to build a home we can supply our kit homes as standard or with the wealth of our experience in the design and building industry in Tasmania and Western Australia, we can modify any of our homes to suit your individual needs and design. We supply our homes in kit form for you to co-ordinate the onsite work which is the best value for money. This puts you in control of the time frame and cost by arranging contractors yourself. Or you may elect to deal with only one contractor to co-ordinate all the onsite work for you. The only difference between SDC Kit Homes and homes built by builders are the savings you will make. All our homes are produced using latest industry best practice for manufacture and cost effectiveness. This puts you in control of the timing of your project. We also liase with your local council authorities to obtain your planning and building approvals. All are supplied pre-assembled ready to stand, to save time on site. We can cater for a concrete slab or an elevated steel/timber floor. Our 1-minute explanation SDC Kit Homes & Sheds, Carports At SDC Kit Homes all of our homes are designed and built to meet all Australian standards and legislation. Energy efficiency in our homes is one of our main aims. The Building Code of Australia re- quires energy efficiency levels for new houses. Our kit homes not only meet this energy standard, but in most cases exceed it. We make building your dream home a very simple process. We do this by providing an adaptable home that is able to respond effectively to your changing household needs and lifestyle choices. Build your dream home today with Jakobovski Homes. Jakobovski Homes a multi-award winning has been a member of HIA (Housing Industry Association) since 1993 and is also a qualified GreenSmart Professional Builder – this allows us to design and add features that will make your home more comfortable to live in and more cost-effective to run. Jakobovski Homes like to work closely with you to realise your dream – whether it’s the first home or a home for retirement, Jakobovski Homes can build your dream home: ”We think big, but we’re small enough to care personally about every job we do. We pay attention to the smallest detail because it’s the small detail that makes the difference.” Friendly and professional, Jakobovski Homes specialises in new homes, renovations, extensions, kitchens and bathrooms – no job is too big or too small. We like to work closely with our clients to build their dream, no matter whether it’s the first home or a home for retirement, Jakobovski Homes can build your dream home. Whether you’re undergoing home renovations or building from scratch, hiring the right home builder is essential. Your choice will determine the quality of craftsmanship, as well as how high your stress levels rise! 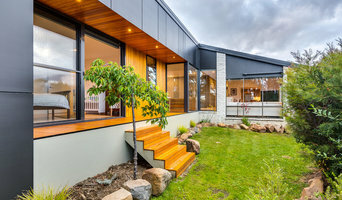 A home design or building project is a huge and multifaceted undertaking, so it’s important to find a local Cambridge, Tasmania builder you can trust to bring your vision to life and keep the process under control. The Houzz professional directory of home builders is a great starting point to choose the right builder for your needs. What exactly do Cambridge, Tasmania home builders do? Before any nails are hammered down, construction companies perform market research to determine whether the prospective site for a new home in Cambridge, Tasmania makes sense. They also survey the land to make sure it is suitable for construction, and obtain any necessary Tasmania permits. 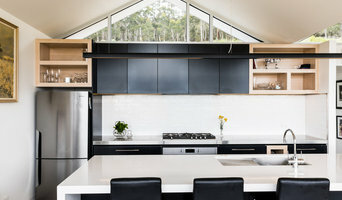 Scroll through this page to find contractors in Cambridge, Tasmania. Then, click on a professional to browse photos of their latest projects and see how their work compares to the scope of your project. Read reviews to see how other homeowners rate their work, and message the home builder or construction company directly to ask any specific questions.